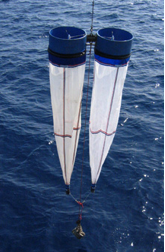 SEA-GEAR Model 9700 Bongo (MARMAP) Samplers Designed for use in quantitative zooplankton sampling. 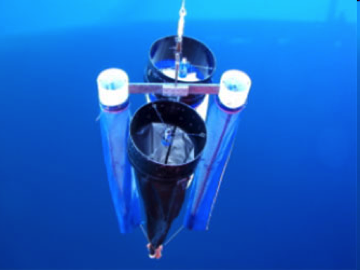 They offer superior design and collect more plankton per unit volume than either the traditional ring net or modern high speed encased plankton sampler. The Bongo Frame was designed by the National Marine Fisheries Service for use in the MARMAP program and is currently in use at various institutions and in environmental concerns throughout the world. SEA-GEARc Model 9765 Large Bongo Frame consists of two 61cm (24”) I.D. hand-wrapped fiberglass reinforced polyester resin (FPR) bodies. The two bodies are joined by a bronze and stainless steel yoke/axle assembly which features a self-contained towing eye. 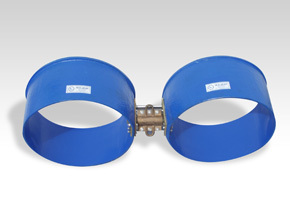 SEA-GEAR Model 9735-SB Small Bongo Frame Consists of two 30cm (12") ID polyvinyl chloride (PVC) pipe bodies joined by a bronze and stainless steel yoke/axle assembly which features the same self contained towing eye incorporated into Model 9765-LB. SEA-GEAR Model 9720-SB 20cm (8"dia.) Bongo also available.